2015 Studio Renovations! While the new studio is under construction please contact me before ordering to check for availability. 2015 Studio Renovations! While the new studio is under construction please contact me before ordering yarns to check for availability. 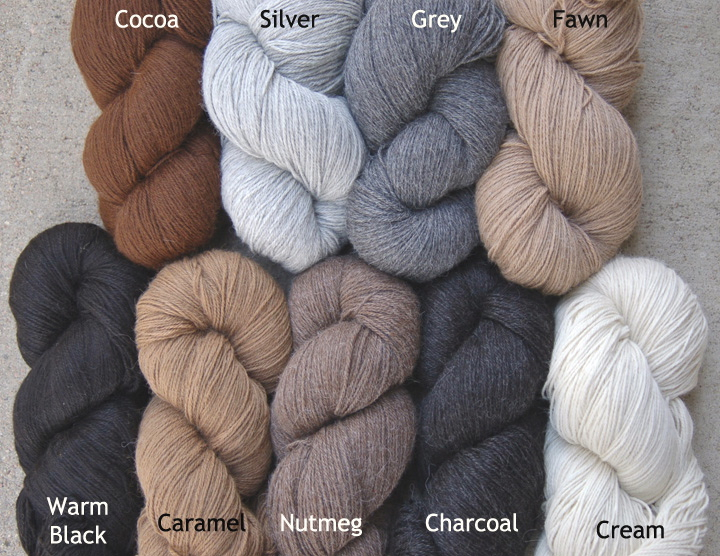 Just Beautiful Alpaca yarn is 100% soft and fine Peruvian alpaca in nine natural colors. Because it is a sport-weight yarn, it knits beautifully into many of the shawls from Folk Shawls.